Allergy blood tests look for substances in the blood (antibodies) that your child's body makes in response to allergens. Allergens are things that the body is allergic to. 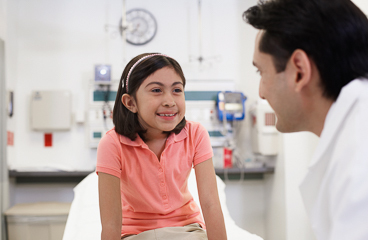 Allergy blood tests are done to find out what things your child is allergic to. Wrap an elastic band around your child's upper arm. This makes the veins below the band larger so it is easier to put a needle into the vein. Enter K408 in the search box to learn more about "Allergy Blood Tests: About Your Child's Tests".